The three-month exhibition, opened on Thursday and will be on view through June 9 at the Lyman Allyn Art Museum in Connecticut. 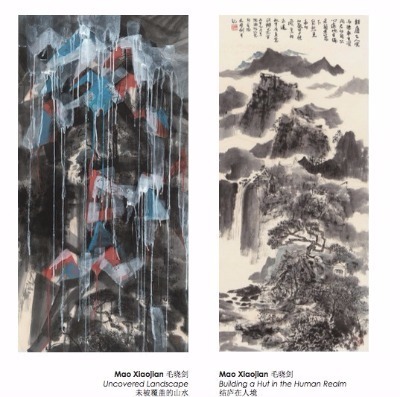 At the event, 11 contemporary Chinese artists, some based in New York and some in China, including Wu Yi, Gu Wenda, Xu Bing, Zhang Hongtu, Wang Mansheng, Zheng Lianjie, Cui Fei, Guo Zhen, Mao Xiaojian, Wang Ai, and Cai Dongdong, are showcaing their approaches to Chinese landscape art. “The works come in different styles and media including ink painting, oil painting, photography, installation, performance, and video art,” says Huang Yibing, the exhibition planner, who is himself a Chinese poet known by his penname Mai Mang. 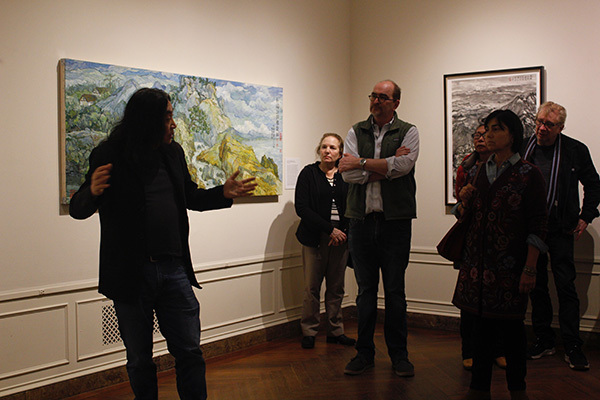 Huang is an associate professor of Chinese at Connecticut College and also serves as the curator of the school’s Chu-Griffis Asian Art Collection.